This study was conducted by the Asset-Based Community Development Institute at Northwestern University in December 2005. The study was initiated the Urban Libraries Council and funded by the Chicago Community Trust and Chicago Public Library Foundation. In late summer, 2005, Co-Director Jody Kretzmann and researcher Susan Rans from the Asset-Based Community Development Institute at Northwestern University agreed to visit several Chicago Branch Libraries to investigate the role of public libraries in neighborhoods. 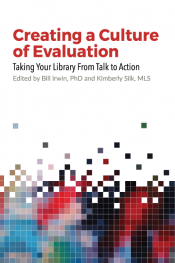 This report illustrates a variety of ways local libraries contribute to community development, looking at multiple layers of involvement: individual, voluntary associations, institutions, economy, place, and, importantly, the stories they tell about themselves in their communities. The Urban Libraries Council hopes this report will spark other communities to investigate the catalytic work of libraries in their communities, to understand the rich contributions being made, and to tell their stories.